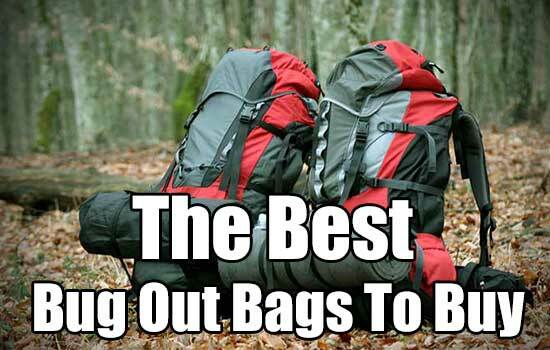 The first and most important item in every Bug Out Bag List is most likely the bag itself. 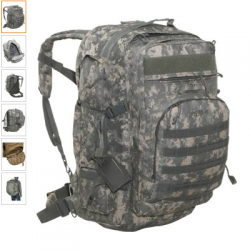 It doesn’t take long to realize that looking for a bag to use for your bug out bag can be a daunting task.There are plenty of options and an exhaustible list of great choices. At shtfpreparedness.com, we like to keep things as simple as possible.For your convenience, we’ve dug up reviews, asked the fans on Facebook and compared several of the best bug out bags on the market. The following bags all have great reviews. You really can’t go wrong with any of them. The list isn’t in any particular order and I am not bias towards one or another either. They are all truly great packs and if you have one to add to the list shoot me an email or leave me a comment on this post on Facebook. The sandpiper is made of polyester, has the capacity to carry enough gear for several days, contains multiple compression loops, tie downs and attachment points for equipment and accessories. This bag measures 26″ long 15.5″ wide 10.5″ deep. 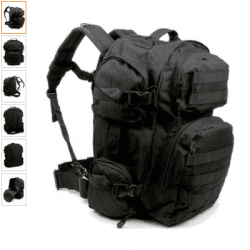 The Molle is made of durable 600 D nylon material. It’s easy to organize with one large compartment and six smaller compartments. 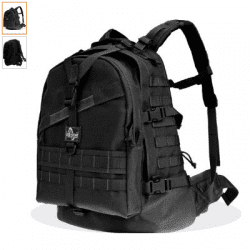 This bag is MOLLE strap and PALS compatible, is 20″ x 11.5″ x 11″ plus it can expand another 3″, has shoulder straps and a belt that can be stowed for protection during flights. The Spec-Ops T.H.E Pack is made from super durable 1000D Cordura Nylon fabric (by far the toughest 1000D nylon fabric on the market today). Has huge YKK #10 zippers on main compartment and large outer pockets. Double Layer Pack Top eliminates stress failure associated with excessive use of carry/drag handle. CAPACITY: 2550 cubic inches. 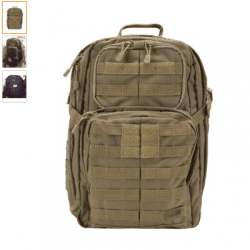 The 5.11 Rush 24 Pack is a full-size day pack with a 20″H x 12.5″L x 8″D (2,000 cu in) main compartment and numerous smaller individual pockets and pouches, several with zipper closures. This pack features adjustable, dual density closed-cell foam shoulder straps with Duraflex(TM) hardware. Average Rating: 4.8 out of 5 stars! This pack is made of nylon. The main compartment is 20.5″(H) x 16″(W) x 7.5″(D) and the bag has a total capacity of 2810 cu.in. It has a 1″ Sternum Strap, and a 2″ Integrated Belt. 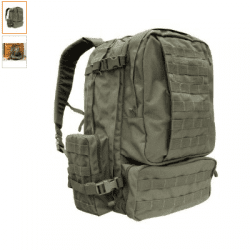 The Maxpedition has a solid nylon back, but still has the mesh on the straps. It carries well, even over long distances. The Condor has a large load cargo capacity compartment with separate pocket to fit up to two 3L hydration bladders, BOlive Draby contour shoulder straps with D-Ring for equipment attachment, sternum starp and waist belt, and External side compression straps. 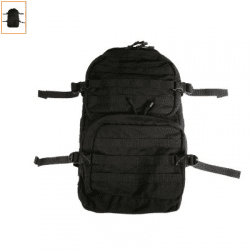 It has a heavy-duty carry and drag handle, two double zipper pulls on the main compartment for easy access, and an individual foam pad back panel for extra comfort and maximum airflow.